St. Thomas, U.S. Virgin Islands (November 28, 2018). Drivers and pedestrians traversing Waterfront Drive in Charlotte Amalie on Wednesday got a sneak peek of the competition to come in the Women’s International Match Racing Series (WIM Series) finale held at the Carlos Aguilar Match Race (CAMR), on November 29 through December 2. The twelve teams, all of which who have flown into St. Thomas this week from France, Great Britain, the Netherlands, Sweden and the USA, used the practice day to acclimatize to the welcome tropical conditions and accustom themselves to the often-tricky always-challenging wind conditions in the harbor. For one team, led by skipper Renee Groeneveld and her crew from the Netherlands, it was more of a re-acquaintance. Groeneveld’s 2016-winning Dutch team of Annemieke Bes, Lobke Berkhout and Mijke Lievens are all back. This is the first WIM Series event of 2018 that the USA’s Janel Zarkowsky has sailed and the first time she’s taken the helm. However, this will be Zarkowsky’s fourth time competing in the CAMR, having served as a trimmer with the USA’s Dave Dellenbaugh twice and in 2016 on bow with the USA’s Stephanie Roble. 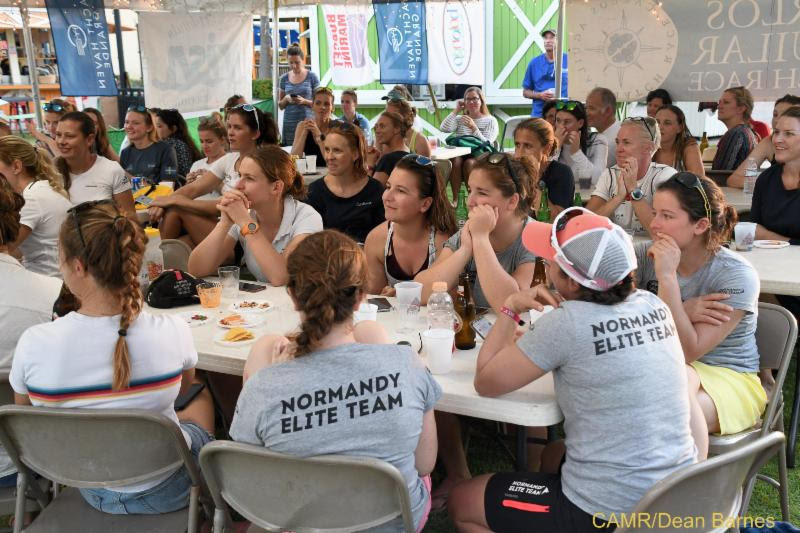 One WIM Series team making its first appearance at the CAMR and in the U.S. Virgin Islands is Sweden’s Sanna Mattsson, and her team of Niki Blässar, Therese Berg and Louise Lindkvist. “It’s so fantastic to be here and so warm. We haven’t sailed that much in this type of weather before and we are looking forward to it. Especially so with such a high level of competition here,” says Mattsson. France’s Pauline Courtois, Margot Vennin and Margot Riou; Sweden’s Anna Östling, Johanna Bergqvist, Linnea Floser and Helena Nielsen; Great Britain’s Octavia Owen; and the USA’s Morgan Collins. The CAMR is a World Sailing (WS)-provisional Grade One event. The format will feature a full round robin of all teams followed by knockout quarterfinals for the top 8, then knockout semi-finals, petit-finals and finals. The event will be sailed in IC24, a modification of J/24. 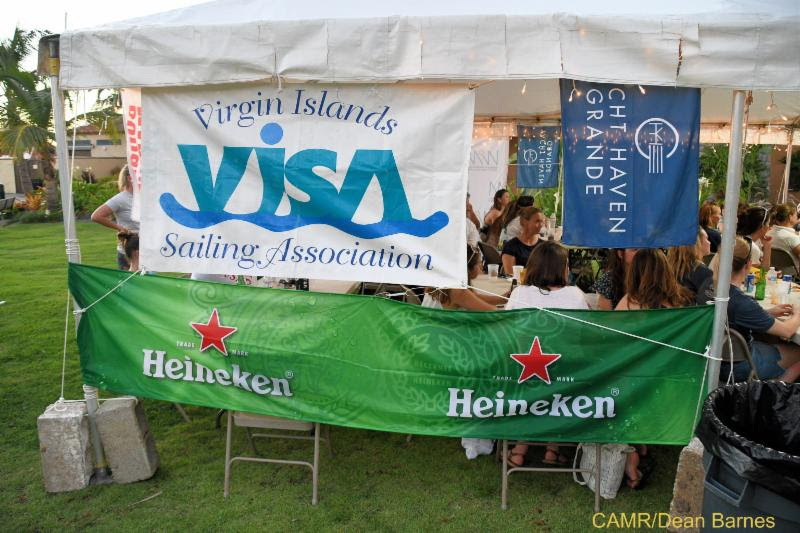 The CAMR is known internationally for introducing young sailors to the sport, working cooperatively with the V.I. government and V.I. Department of Tourism in its efforts to get more of the island’s youth out on the water. As such the event hosts the CAMR Youth Regatta each year.